Sir Ian is not happy. 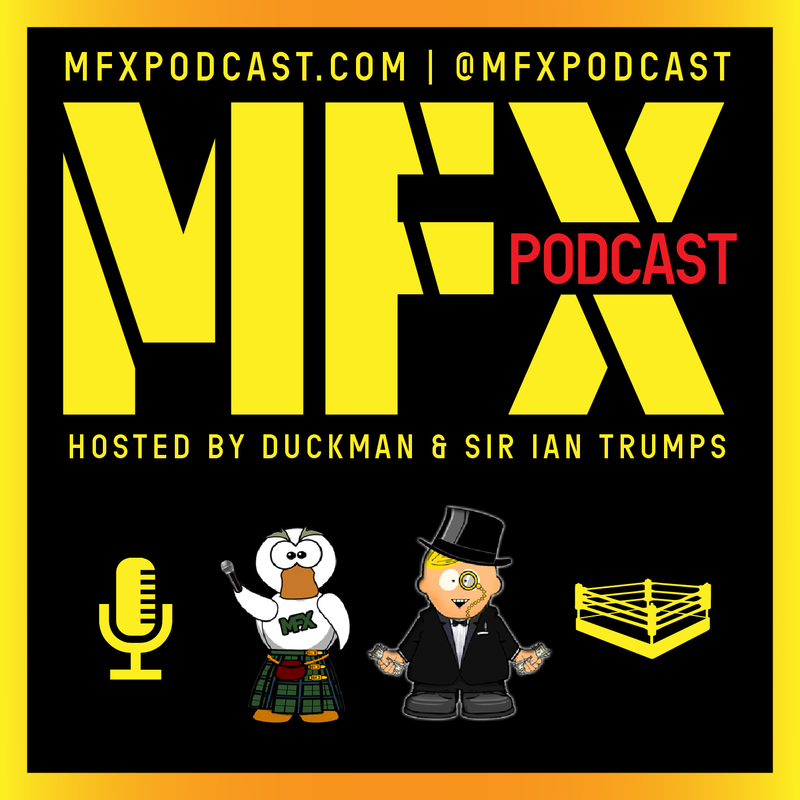 The super successful launch of the MFXtra show ‘3 Pints with Betty’ with Duckman and Marc Abrigo has left Sir Ian feeling left out, used, abused and worrying for his future in podcasting. Join Sir Ian as he rants and raves about how Marc Abrigo has turned his loyal friend Duckman’s head and lead him down a path away from a hard working Englishman and into the world of cheap Asian labour. The first shots are fired in the inter-MFX war between two awesome podcasts. Once Sir Ian has calmed down enough to actually do the show it’s slice of MFX goodness with chat about the plethora of murder documentaries there are around today, Duckman has finally watched It’s Always Sunny in Philadelphia and he LOVES it, there’s a man who wants to legally change his age, the effect of the rapid progress of technology on society and so much more. Plenty of laughs and insight here. Loads of wrestling chat on the show this week as the lads discuss Crown Jewel, WWE’s distraction booking technique to take the heat off the show and onto them, Hulk Hogan’s return and previews of NXT Takeover: War Games and Survivor Series. The show is wrapped up, as always, with the Try Hard Ruler of the Week Award. Four crazy stories involving stupid robbers, a fake band going on tour, a drunk Irishman punching himself in the face to get out of a DUI charge and a bloke cleaning a fighter jet that cost the Airforce $66 million.